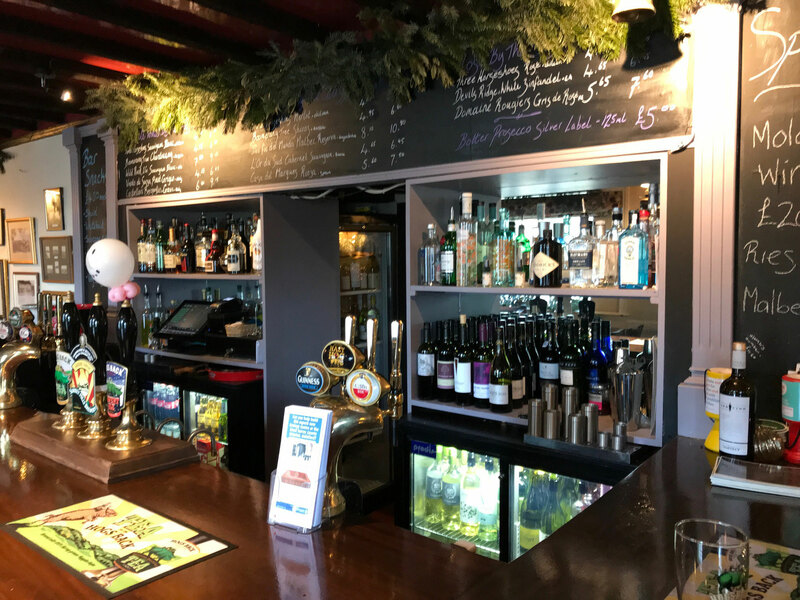 The Three Horseshoes is a beautiful freehouse country pub with a cosy restaurant, an extensive garden with play area for children and we are only an hour from London. Located in the picturesque village of Thursley, in the heart of the Surrey Hills, popular with walkers and cyclists. The pub itself is owned by the villagers who bought the freehold in 2004 to ensure they didn’t lose their village pub! And, we are glad they did. The pub is well loved by the locals we see here every day and anyone new who comes through the door will receive a warm welcome. 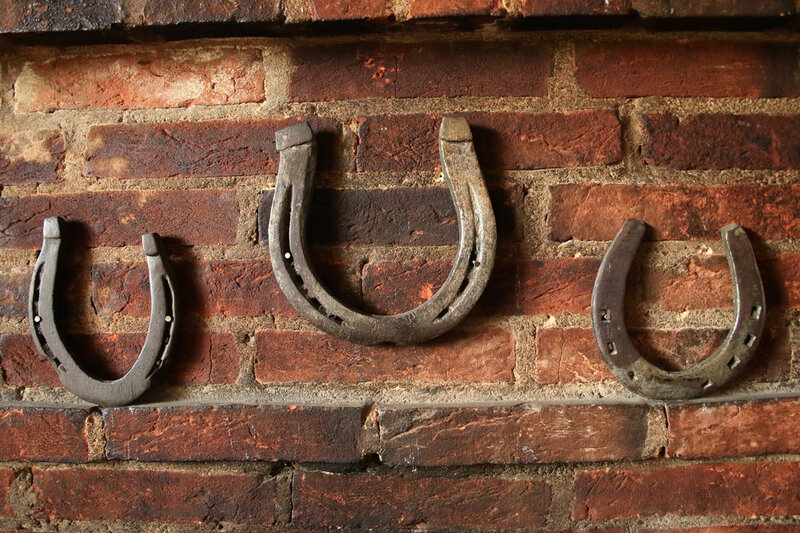 The Three Horseshoes won the Good Pub Guide Surrey Dining Pub of the Year 2012 and 2014! Our pub is the heart of the village. It’s a warm welcoming environment for you to pop in for a pint, a snack or a proper meal. 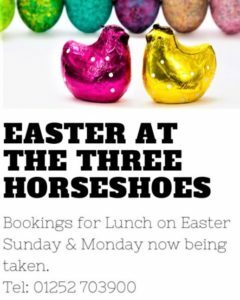 Booking are now being taken for Lunch on Easter Sunday with an Easter Egg Hunt included for the children! Or come and enjoy a spit roast (vegetarian option available) on Easter Monday. If its raining we will seat everyone inside the pub! 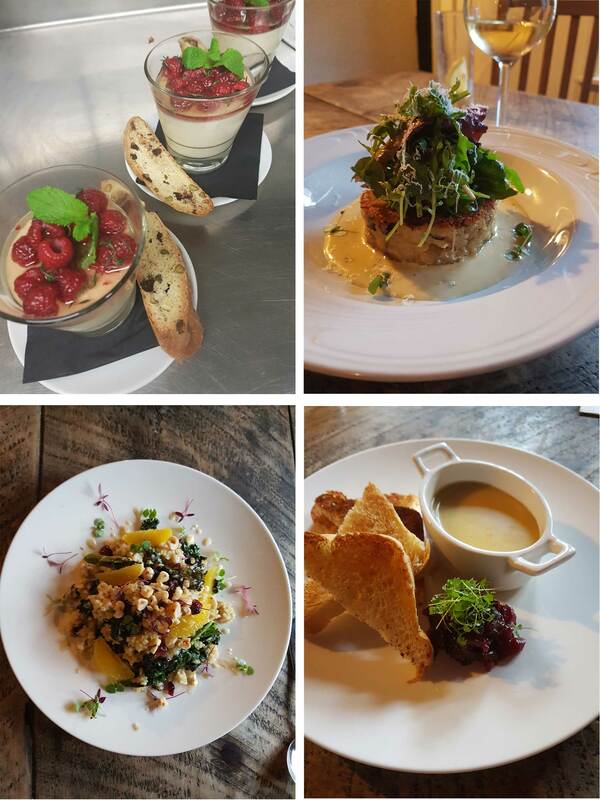 We serve food in the bar, restaurant and garden from the same menu. However, if you wanted a more formal dining experience you may wish to dine in the restaurant.